On a Thursday morning after tai chi I like to go up to the golf club for a coffee and a wee look at people playing golf in shirt sleeves in the sunshine. 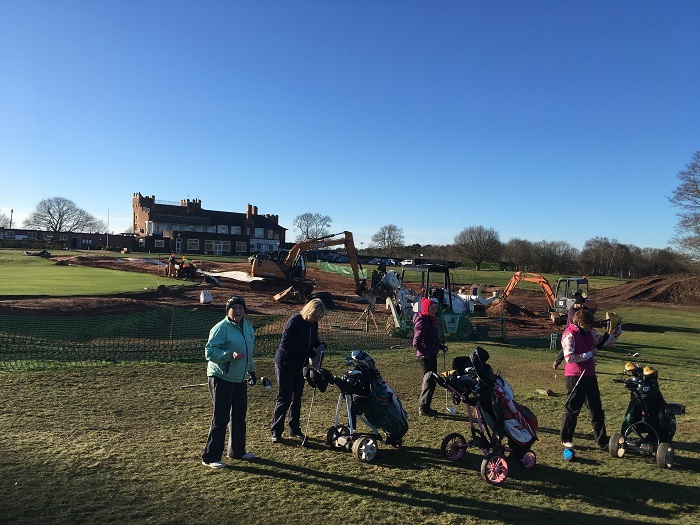 No, we haven’t gone tropical at Whittington, like the rest of the country we’re all wrapped up against the increasing chill but on the telly the professionals are playing under blue skies in places like Hawaii, Florida and Abu Dhabi. Bliss to watch for those of us who are testing out the latest Icebreaker merino magic. 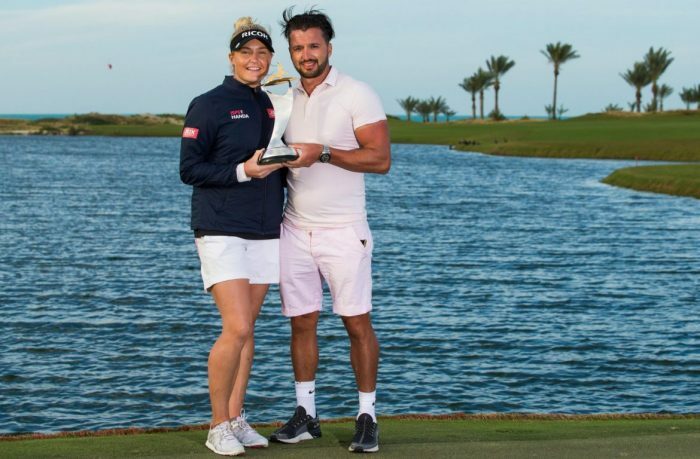 Also in Abu Dhabi, last week, Charley Hull won the LET’s first event of the year, the Fatima Bint Mubarak Ladies Open at Saadyat Beach Golf Club. Newly engaged, Hull, who’s still only 22, finished one shot ahead of Marianne Skarpnord, of Norway. She received her trophy from that irrepressible octogenarian Gary Player, who designed the course. Winning is a great way to start the season and I’m hoping the bold Charley will be in even better form by the time the Solheim Cup comes round in September. The match is at Gleneagles and Europe always win in Scotland, don’t we? First, at Dalmahoy in 1992, then at Loch Lomond in 2000. No pressure then for Catriona Matthew, the European captain, who learned her golf at North Berwick. Juli Inkster, the US captain, is plotting an unprecedented third consecutive victory in charge of the Americans. It should be quite a contest. 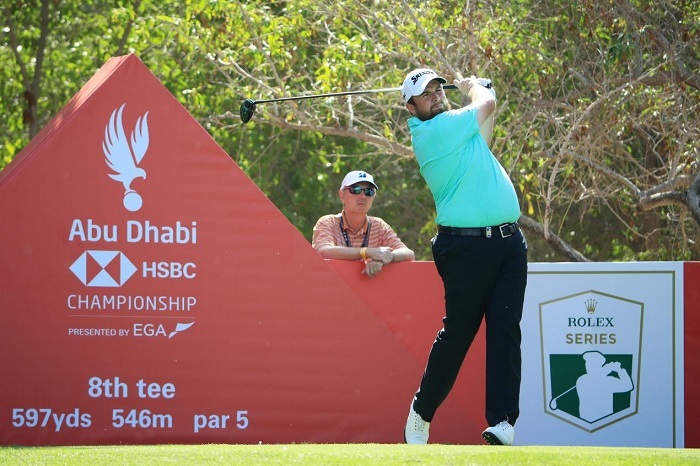 Keep an eye on potential team members Caroline Hedwall, of Sweden, Anne Van Dam, of the Netherlands, Denmark’s Nicole Broch Larsen and England’s Jodi Ewart Shadoff, who shared third place in Abu Dhabi (alongside Luna Sobron of Spain). They were on 3 under par, five shots behind Hull and won a grand total of $10,164.16 each. Hull’s haul was $38,115.60. The total purse was $300,000 – that’s US – between 56 players. The LET’s next three tournaments are in Australia and the respective purses are $350,000, $150,000 and $150,000 – that’s Aussie dollars, so you can see that playing the tour is a long old haul, more risk than reward for most players. You have to love it to persevere. Over in Florida, the LPGA season is getting under way with the Diamond Resorts Tournament of Champions presented by Insurance Office of America – we women love a snappy title – and the purse is a little more nought-encrusted at $1,200,000. 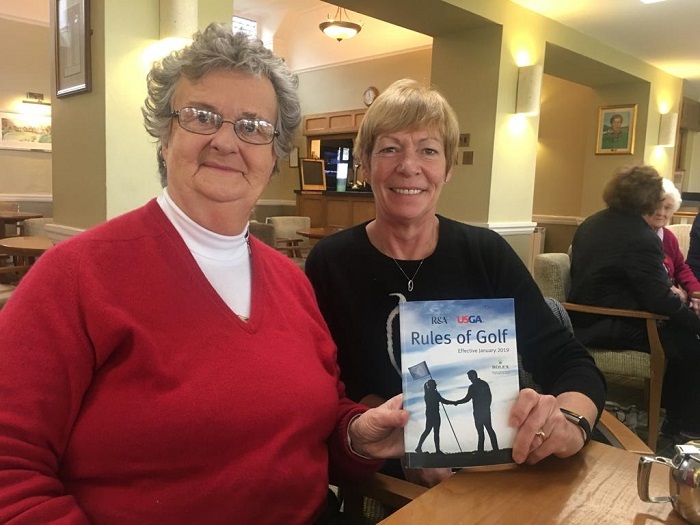 There are also only 26 players competing, including three Europeans: Georgia Hall, who won the Ricoh Women’s British Open in such style last year and the Swedes Anna Nordqvist and Pernilla Lindberg. Meanwhile, here in Staffordshire the digging goes on and the heavy plant is criss-crossing the fairways. I’ve always loved that sign “Heavy Plant Crossing”, it always makes me laugh. Imagine a giant cactus or an obese chrysanth or a terrifying triffid stomping along determinedly, making its way to the other side. It’s good fun dodging the diggers – note to Health and Safety buffs, I’m exaggerating, we’re well cordoned off – and keeping track of their progress. There’s rarely a dull moment. For the financial record, my mates and I threw prudence aside and lobbed 100 pence each into the pot – a couple of noughts but not enough to cover the cost of a cuppa these days; we’re just going for the glory. Diggers du jour at WHGC.